TTTech provides advanced approaches to system design, integration and certification methodology for integrated railway controls and systems. 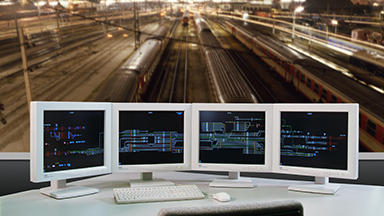 Our embedded solutions enable new system capabilities and add significant value to system optimization and reduced life-cycle costs for our clients in the railway industry. To learn more about our projects and find out more about our references in the railway market, have a look at the respective case studies on the following pages.